Are Second Victims Getting the Help They Need? A 2013 review of healthcare professionals as second victims, published in Evaluation & The Health Professions, concluded that nearly half of healthcare providers would fit this label at least once in their career. A 2017 survey of surgeons found that 80% recalled having at least one intraoperative adverse event within the past year of their practice. Those affected reported having experienced a substantial emotional impact on their well-being, including strong feelings of sadness, anxiety, and shame. A 2015 article in Current Opinion in Anesthesiology puts its best guess of the frequency of wrong-site blocks as 7.5 per 10,000 procedures. A 2018 review of publications reporting on at least 10,000 blocks found a rate of 0.52 to 5.07 wrong-site nerve blocks per 10,000 blocks, unilateral blocks, or “at-risk” procedures. The key to making analytics valuable to an organization requires managers to apply surveillance techniques, first proven effective by Epidemic Intelligence Service officers 60 years ago, to their reports. ISMP conducted this survey to gain insight into the practice of texting medical orders given the ongoing debate regarding its use. 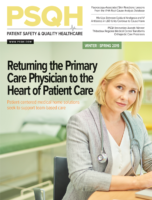 Technology-savvy healthcare professionals have embraced the convenience of this 21st century form of communication, while opponents feel it is too informal to properly document patient care. They also have concerns about data security and the potential impact on patient safety with texting medical orders.